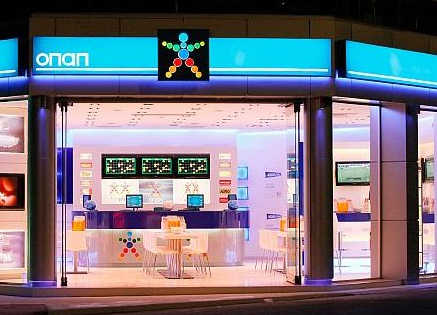 Publishing its 2018 interim results (period ending 30 June), Athens-listed gambling operator OPAP details strong progress on its ‘2020 corporate vision‘ as the company begins to benefit from its systems and network upgrades. Entering 2018, OPAP would undertake a group-wide overhaul of legacy systems and terminals in partnership with industry technology group Playtech Plc. In its update, OPAP governance details that to date, the company has successfully launched ‘13,775 VLT machines across 307 Gaming Halls and 1,594 OPAP Stores’. Benefitting from its systems upgrade and high customer activity during World Cup Russia 2018, OPAP would record a 7% rise in group revenues to €737 million (H1 2017: €688 million). The gambling group’s improved operational output, would be supported by OPAP governance restructuring the firm’s ‘loan portfolio’. During the interim trading period, OPAP governance gained more favourable terms for the group’s long-term debt structure, securing a new 5-year €250 million debt loan with Eurobank. Closing interim 2018 trading, a streamlined OPAP would declare a group EBITDA of €141 million (H1 2017: €116 million), combined with period net profits of €66 million (H1 2017: €58 million). OPAP governance is confident of achieving its full-year 2018 expectations, highlighting an improved outlook for the Greek economy following the nation ending its ‘economic adjustment programs’ this August and upgrading its Credit rating. Next David Clifton: Licensing Expert – Who are you & how old are you?